Fiber Channel Storage Arrays are an excellent and intelligent form of storage, perfect for any small to medium sized business. Fiber Channel comes out of the box optimized for storage traffic, and provide the best in network speed for managing storage over intranets or long distances. Also with the proper supporting infrastructure it can provide a unique solution towards network storage redundancy. Fiber Channel reliability is also compared favorably to Ethernet in terms of being a lossless protocol, making it a wonderful fit for any IT Professional utilizing a Fiber Network. Aventis Systems offers a range of Dell PowerVault Fiber Channel SAN Storage Arrays, from 12 to 24 bays of Solid State Drives or Hard Disk Drives, and supports SAS and Nearline SAS interfaces. Drive volume goes up to 8TBs. So whether you are in need of high density or high volume Fiber Channel Storage, there is an option to help you Get IT Done! Also all of our storage products come with a 3-Year Warranty . Shop below for your perfect Dell Fiber Channel SAN Storage Array today! 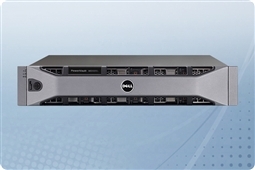 Curious which Dell PowerVault Fiber Channel SAN (Storage Area Network) arrays are best for your business continuity and budget? Check out our Survival Guide: Avoiding A Data Apocalypse today!